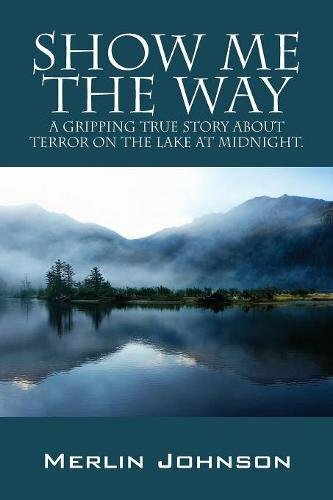 “Show Me the Way” is a fifteen-page memoir about a terrible incident that happened one night while the author Merlin Johnson was out boating with his wife and friends. The group was having fun riding around on Merlin’s cruiser during a holiday weekend, on Clear Lake in California, and went out to Rattlesnake Island for an enjoyable evening. While they were planning on spending the night, Merlin got a gut feeling that they should go back to shore immediately. This disappointed the rest of the party, but back they went. Once back at the dock, Merlin heard a cry for help. This cry came from some distance away and it was strange that he would even be able to hear it. Taking off to see if they could help, the group came upon a horrible boating accident. It was amazing that they were able to be in the right place at the right time to provide assistance. I found myself riveted by Merlin Johnson’s story. He has a gift for telling a story in a way that immediately gets the reader’s attention. I also like how he was able to incorporate boating information into the story, to give the reader a better understanding, without getting too technical. I truly wish he had written more because what happened only took place over a short period of time and I suspect he has many other stories from other adventures that he could entertain us with. For me, “Show Me the Way” was like reading a horror novel that gave me chills because of the way the tragedy unfolded and the damage that had been done to the people in the accident. Knowing that the author was getting gut feelings, which he was compelled to follow, also added a very interesting component to this memoir. I highly recommend reading this short memoir. I also look forward to reading more of Merlin Johnson’s writing.